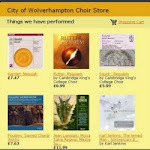 City of Wolverhampton Choir: WANTED! 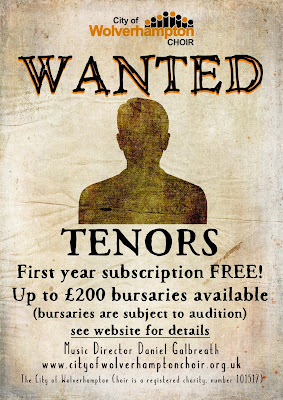 We are keen to recruit new tenors to the choir and are offering a subscription free first year to new members (students are already free). 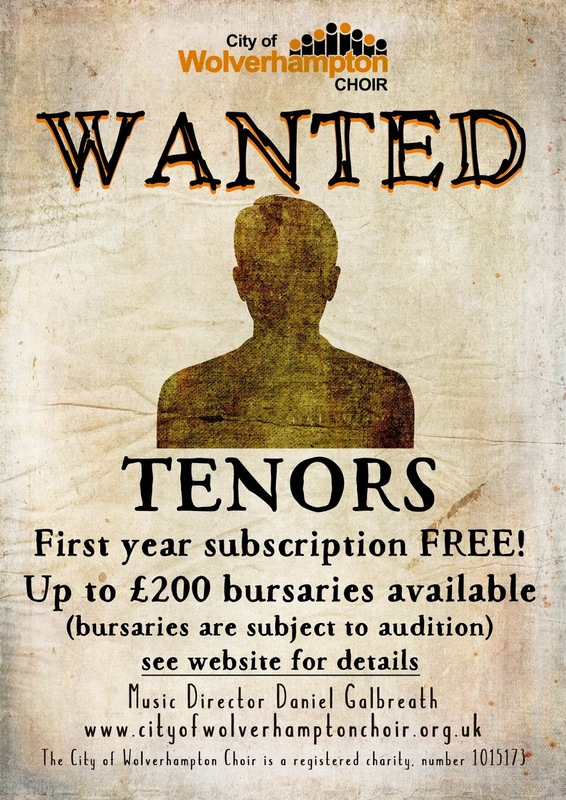 In addition we are also offering a number of bursaries (subject to a satisfactory audition with Jason Stanbridge- the Music Director). The choir is just starting out on a new season and looking forward to an exciting programme so if you are a tenor with a free Monday evening why not come along and join us! The choir rehearses at Cranmer Methodist Church, Newhampton Road West, Wolverhampton, between 7:30 and 9:30pm during term time. Go to the Contact page for details of how to get in touch.